Subaru of America, in conjunction with National Parks Conservation Association (NPCA), released survey findings indicating that a majority of Americans (59%) were unaware of the waste management challenges facing national parks across the country. As we celebrate the centennial of the National Park Service, the Subaru National Park Survey explored attitudes and behaviors of park goers, revealing that, while most are unaware, more than four in five (84%) would be willing to make a significant effort to reduce the amount of trash left in parks. In addition to the Subaru National Park Survey, Subaru and NPCA recently concluded an in-depth waste characterization study that demonstrated that a significant portion of the waste that the National Park Service (NPS) manages nationally is brought in from outside the park – with a small range of everyday items being the biggest issue. The study found plastic waste, such as water bottles, plastic bags, non-recyclable or compostable food packaging, and paper hot cups, are the main drivers of waste sent to landfills and the biggest concern in the national parks. 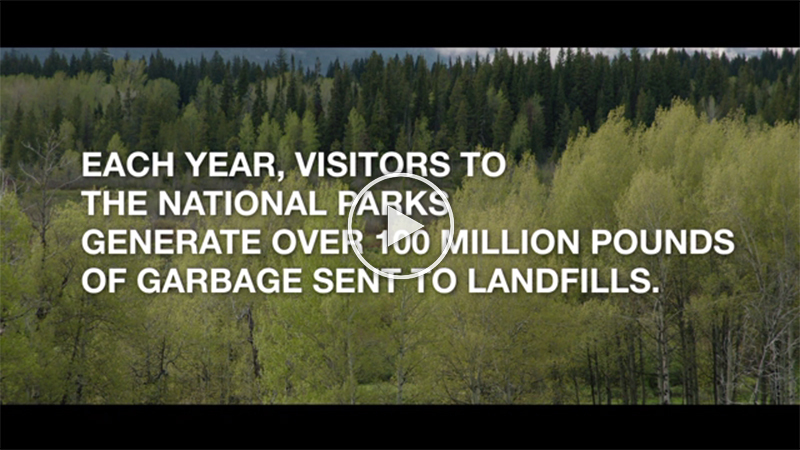 NPS manages more than 100 million pounds of waste nationally, much of which is generated by serving more than 300 million park visitors per year. This number is in addition to waste managed by park concessioners, who provide accommodations, food services, retail operations and transportation to visitors. Even with numerous park programs currently in place to manage the waste such as GreenLine News Update, WebRanger Trash Talkin’, and Leave No Trace, the total amount of waste generated each year would fill the Statue of Liberty more than 1,800 times. The waste characterization study examined pilot parks Yosemite, Grand Teton and Denali to identify top drivers of waste sent to landfills. 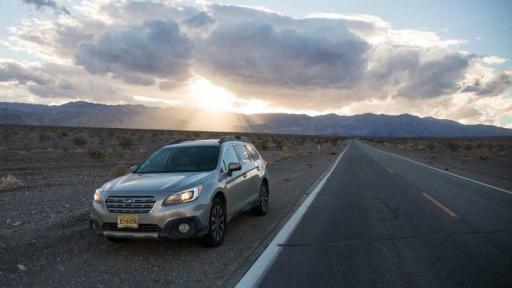 Subaru, recognized for having the first automotive assembly plant in America designated as zero landfill, has set out on a larger initiative to share its knowledge of zero landfill practices with the national parks, working toward a goal of significantly reducing waste going into landfills. These initiatives, with the help of NPCA, NPS and park concessioners, are already making a difference. Denali has established a Zero Landfill Youth Ambassador Program to support employee and visitor education programs, Grand Teton has led the park service in dedicating employees to waste diversion, and to increase Yosemite’s already high waste diversion levels, dozens of new recycling and trash containers have been installed in more high-traffic visitor locations. All three pilot parks have committed to adopting the standardized recycling labels from Recycle Across America that have been proven to increase recycling levels, reduce confusion at the bin and make it easier for park visitors to recycle correctly. Taking the results of Subaru and NPCA’s waste characterization study into account, Subaru’s survey of those who have visited national parks examined their waste and recycling habits while there, explored misconceptions about the amount and types of waste generated at parks and surveyed park goers’ attitudes and behavior toward helping tackle these issues. 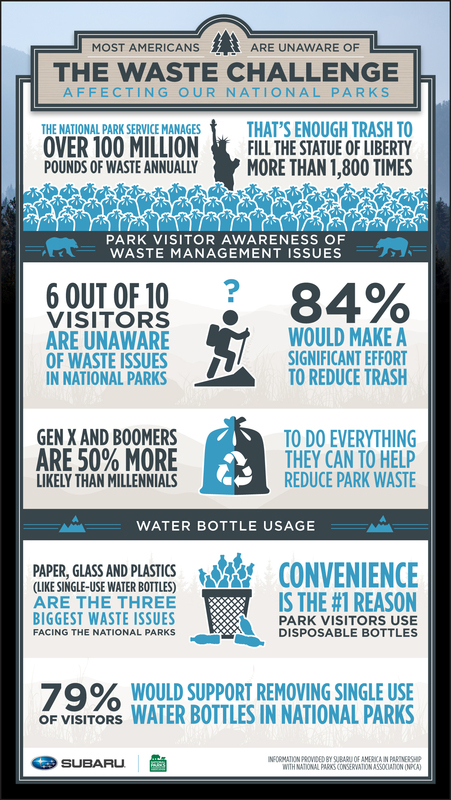 Respondents were asked about their awareness of national parks’ waste management challenges and how far they would be willing to go to help. 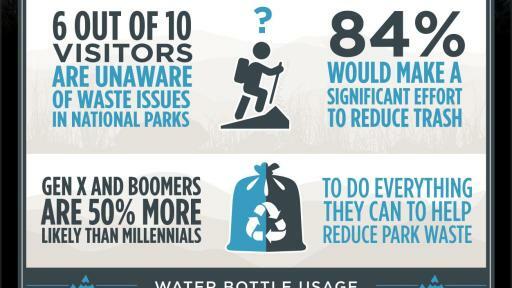 The survey explored park visitors’ knowledge and usage of recycling facilities at national parks. Subaru’s survey also studied what type of waste is brought into national parks by visitors and examined their willingness to change their behaviors to help reduce garbage left behind. 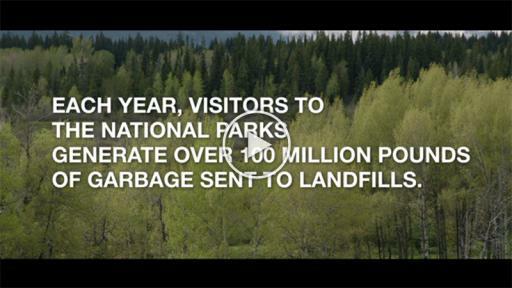 While waste is a major issue in the parks, Americans can make a difference. 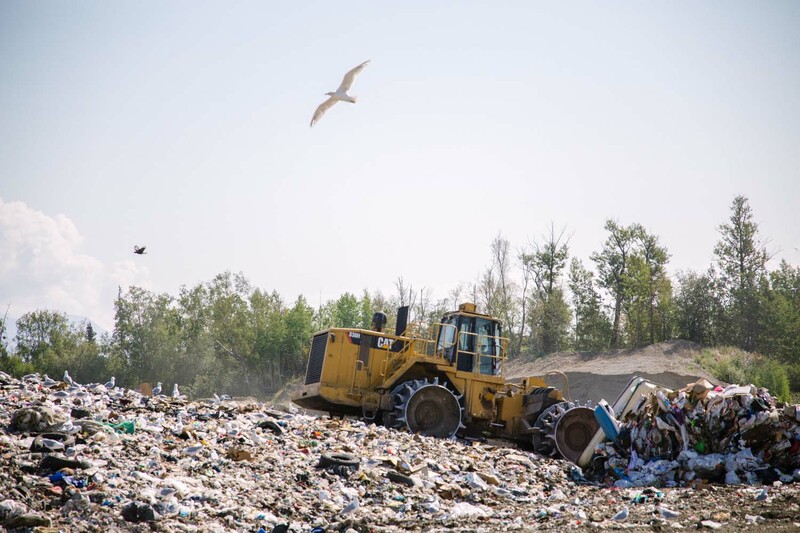 NPCA conducted research that included everything from analytics to dumpster-diving and have developed a set of tips that visitors can adopt to help reduce some of the biggest contributors to landfills from national parks, including paper, plastics and glass. While paper maps can be a parks staple, there are smartphone apps that provide the same information and more. Even without cell service, some national park apps will give helpful information about where you can spot wildlife or catch a beautiful sunset. 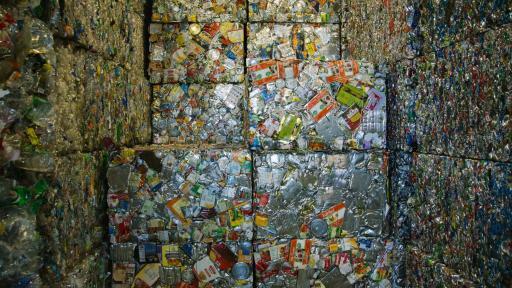 Americans throw away 2.5 million plastic bottles every hour. Keep a refillable water bottle on hand or buy one at gift shop, while taking advantage of convenient refilling stations around the park. In the year of the National Park Service Centennial, Subaru is working with NPCA, NPS, the National Park Foundation, and other partners to further promote the many programs already in place to educate visitors about ways they can decrease waste in parks, as well as explore new ways both Subaru and park visitors can help reduce waste and keep these parks beautiful for another 100 years. 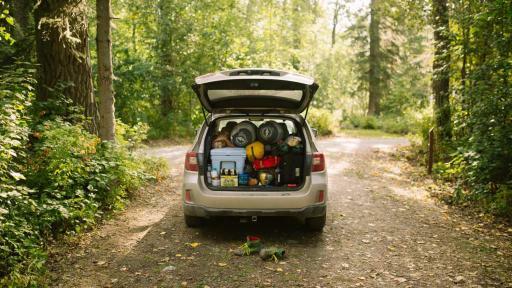 For more information on the zero landfill initiative and Subaru’s partnership with the national parks, visit www.Subaru.com/Environment. 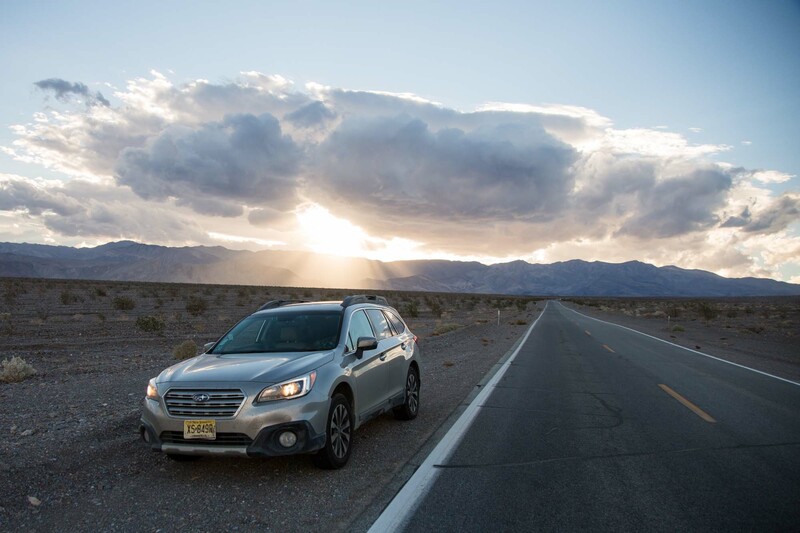 The Subaru National Parks Survey was conducted by Kelton Global between March 3 - 7, 2016 among 1,000 Americans 18+ who have ever visited a U.S. National Park, using an e-mail invitation and an online survey. Results of any sample are subject to sampling variation. The magnitude of the variation is measurable and is affected by the number of interviews and the level of the percentages expressing the results. In this particular study, the chances are 95 in 100 that a survey result does not vary, plus or minus, by more than 3.1 percentage points from the result that would be obtained if interviews had been conducted with all personas in the universe represented by the sample. The margin of error for any subgroups will be slightly higher. Subaru of Indiana Automotive, Inc. (SIA), the home of Subaru manufacturing in North America, was the first automotive assembly plant in America designated as zero landfill, achieving that status in 2004. Previously, in 2003, SIA became the first automotive plant site to be designated a Backyard Wildlife Habitat by the National Wildlife Federation for wildlife such as blue heron, snapping turtles, coyote, white-tailed deer and bald eagles. SIA employs a number of techniques to prepare its waste for reuse or recycling, such separating food waste for composting and sending the dust produced from weld slag to a recycling facility where copper and other metals are reclaimed. Since 2000, SIA has reduced waste per unit by 55%. The Indiana plant currently produces the Subaru Legacy and Outback and this year will begin production of the Impreza model. 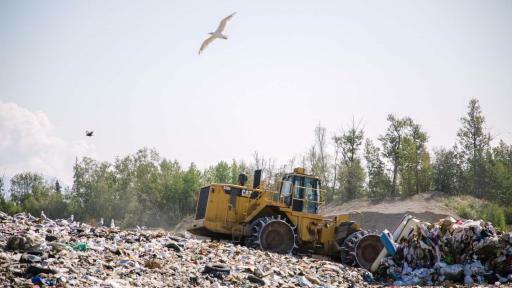 Over the years, SIA has shared its zero landfill techniques with hundreds of businesses, schools and organizations in order to benchmark their own zero landfill goals. 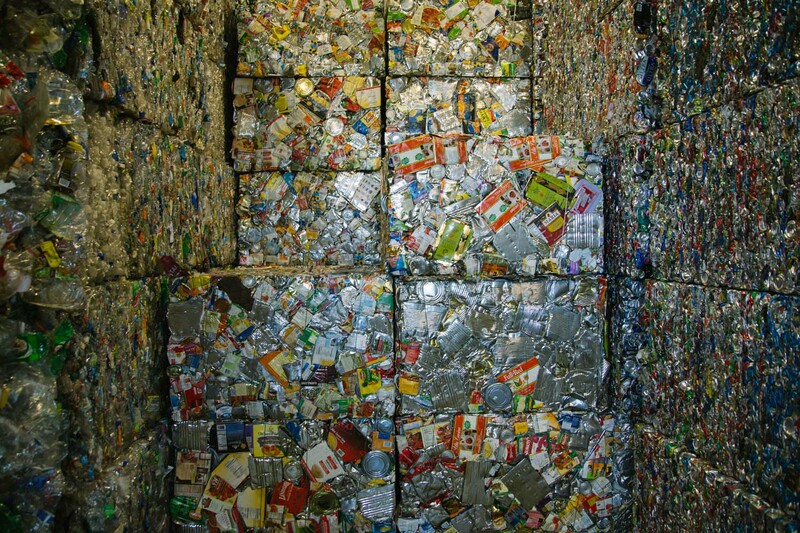 The Subaru plant, which recycles 99.99% of its waste, will share its expertise in the arts of reduce, reuse and recycle with the pilot parks and their largest concessioners, including Aramark, Grand Teton Lodge Company, and Forever Resorts. 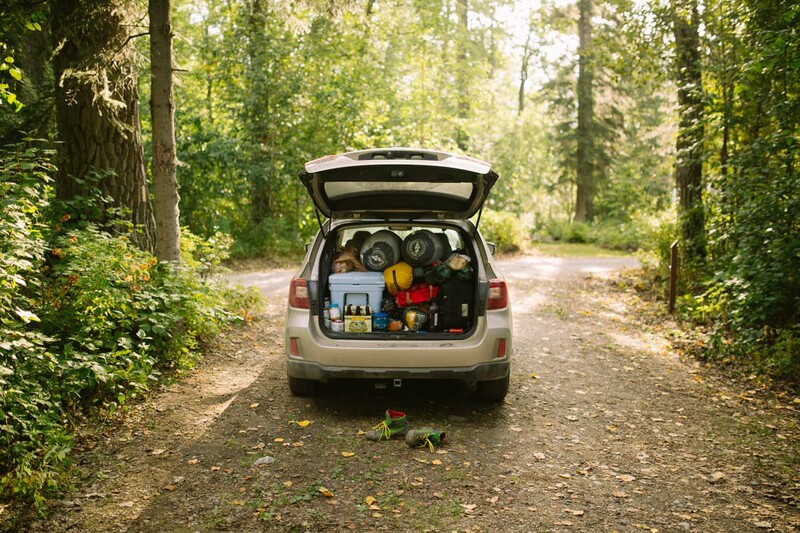 Subaru is also the premier vehicle partner of the National Park Foundation for the centennial of the National Park Service and Find Your Park/Encuentra Tu Parque, a public awareness and education movement that celebrates the milestone anniversary of the National Park Service in 2016 and sets the stage for the national parks’ next 100 years. Find Your Park invites the public to see that a national park can be more than just a place -- it can be a feeling or a state of mind. Further, Find Your Park encourages people to find their own personal connections within the network of national parks and National Park Service programs.